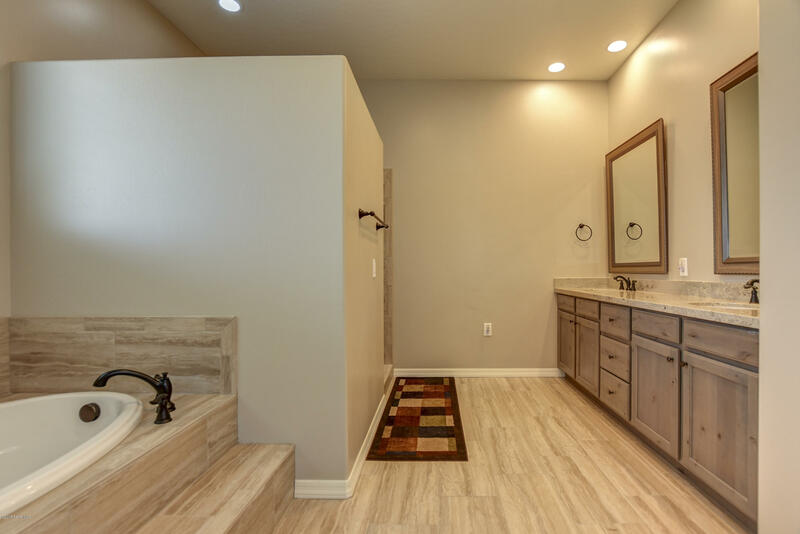 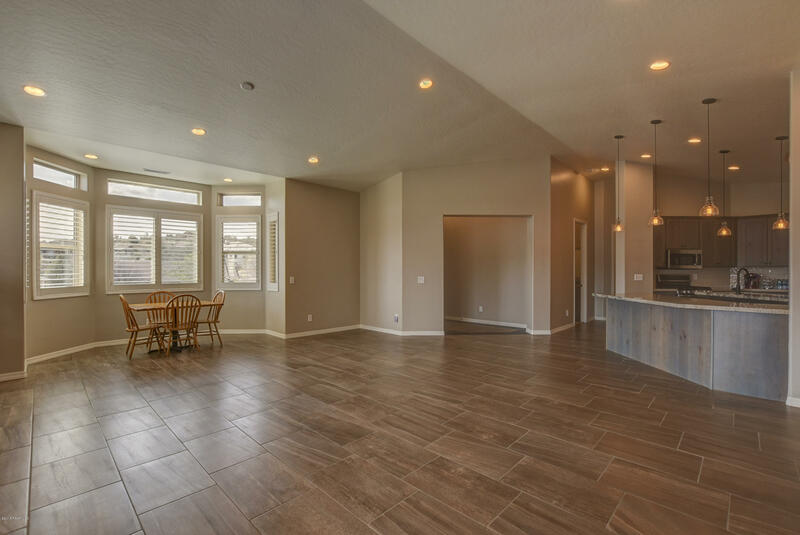 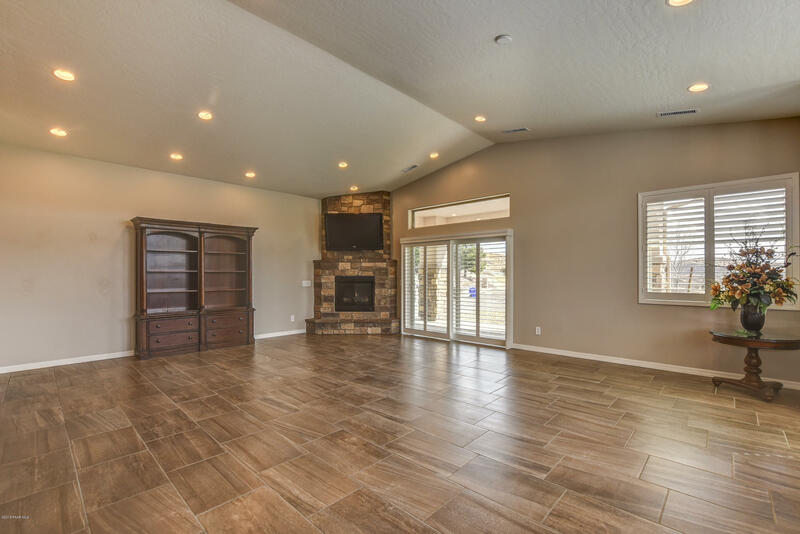 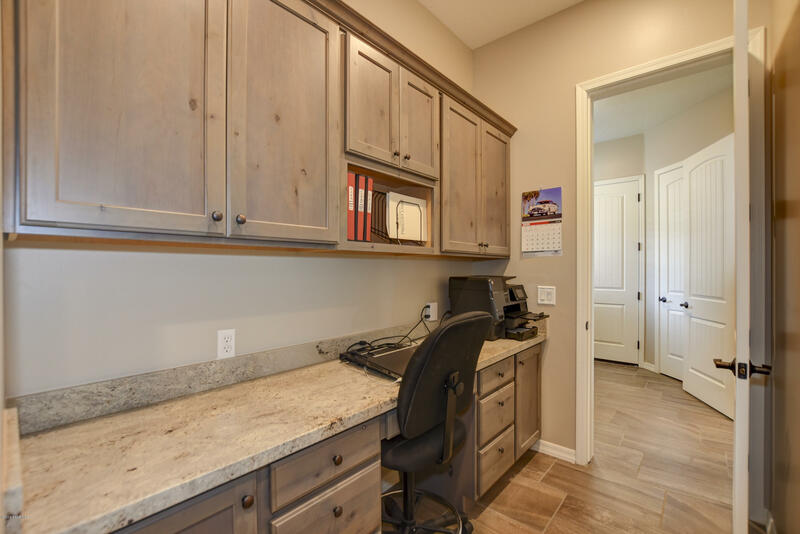 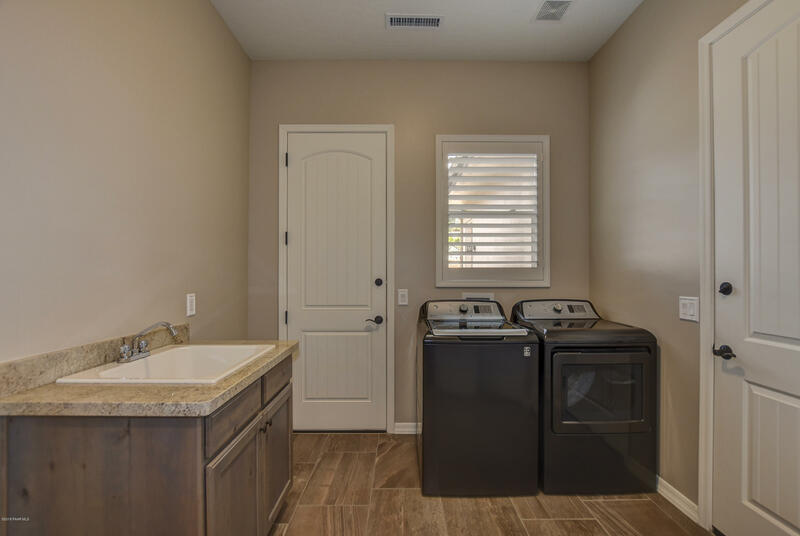 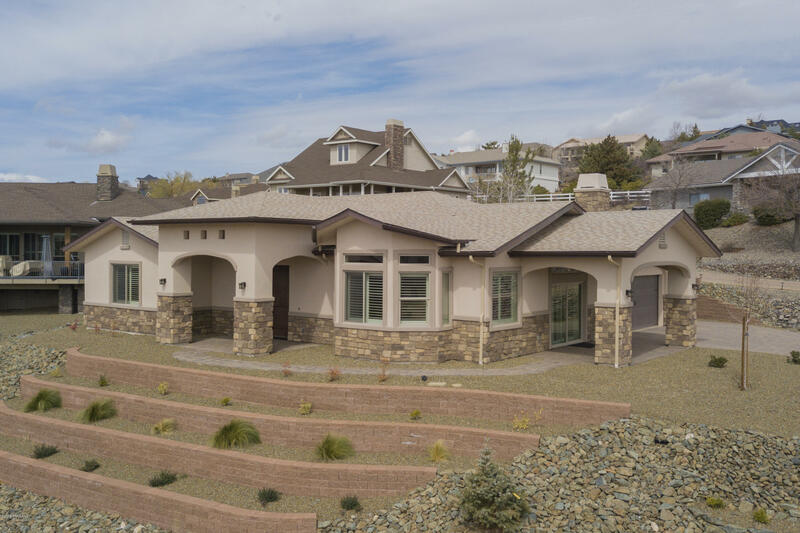 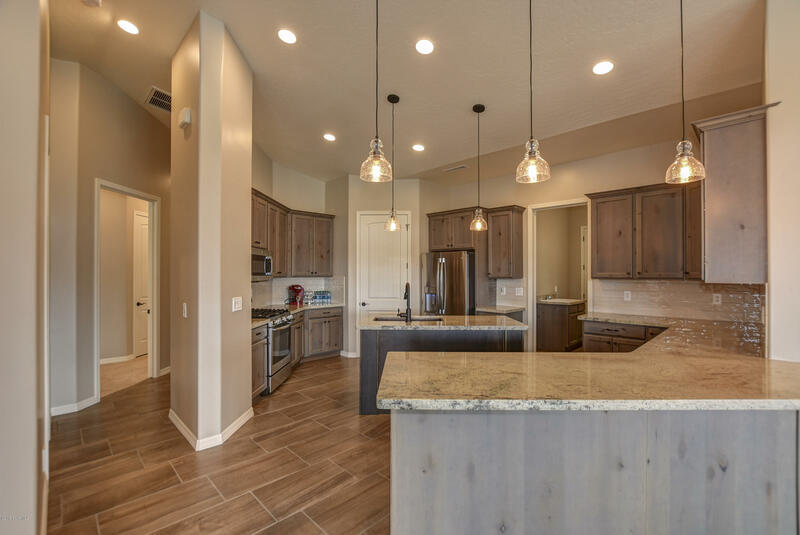 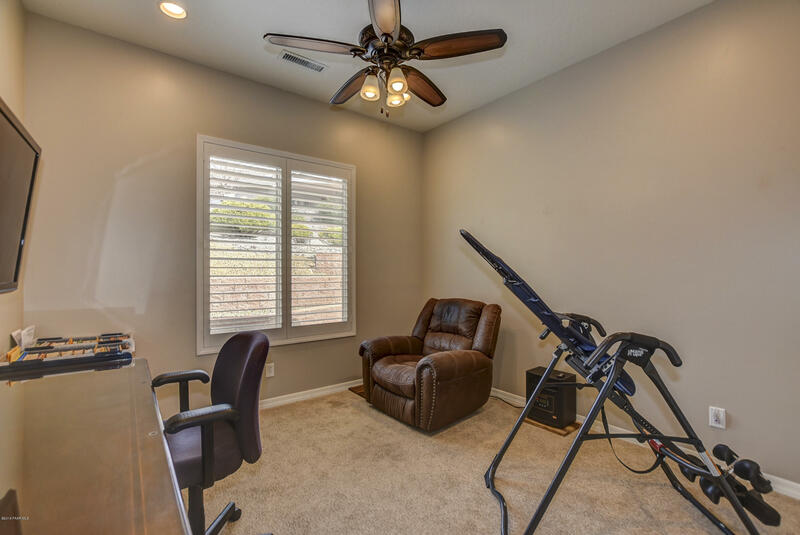 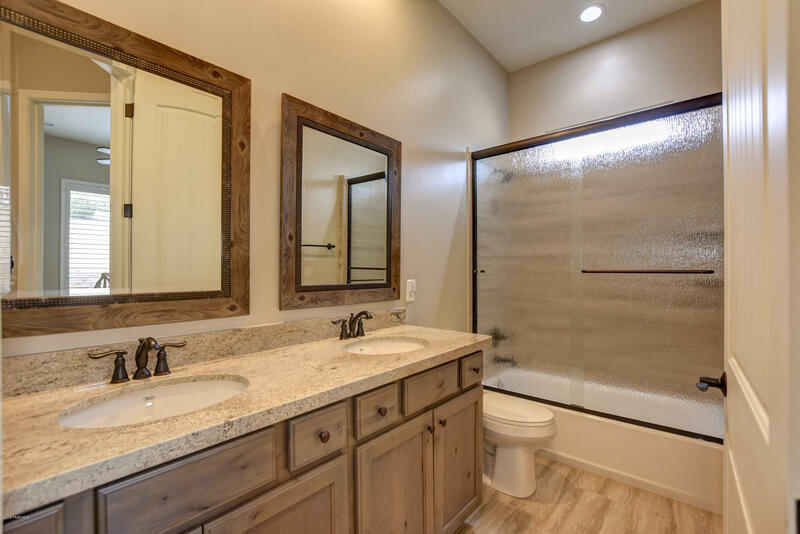 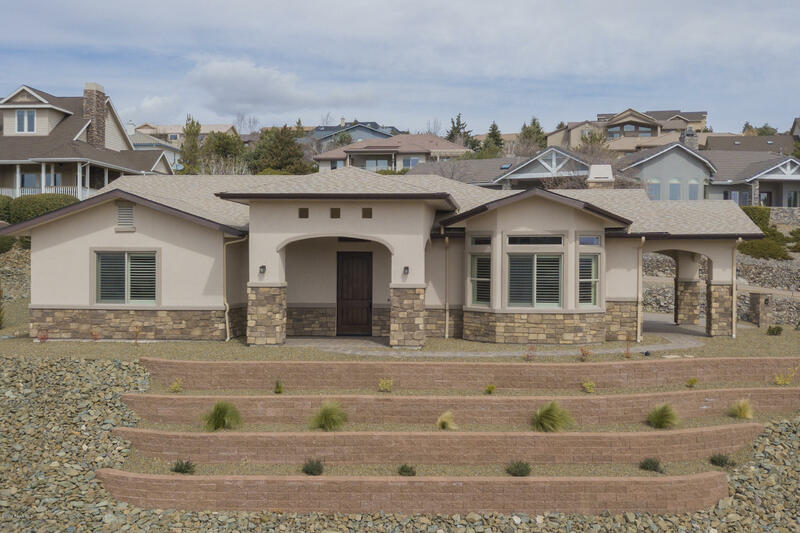 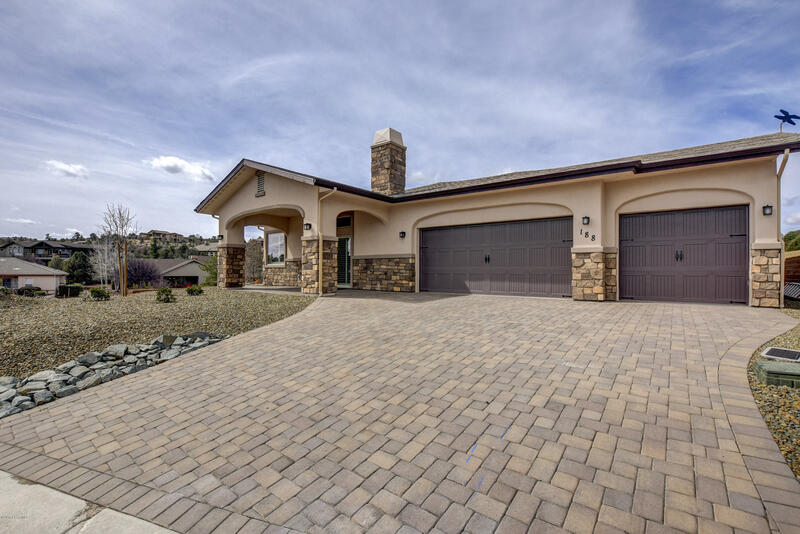 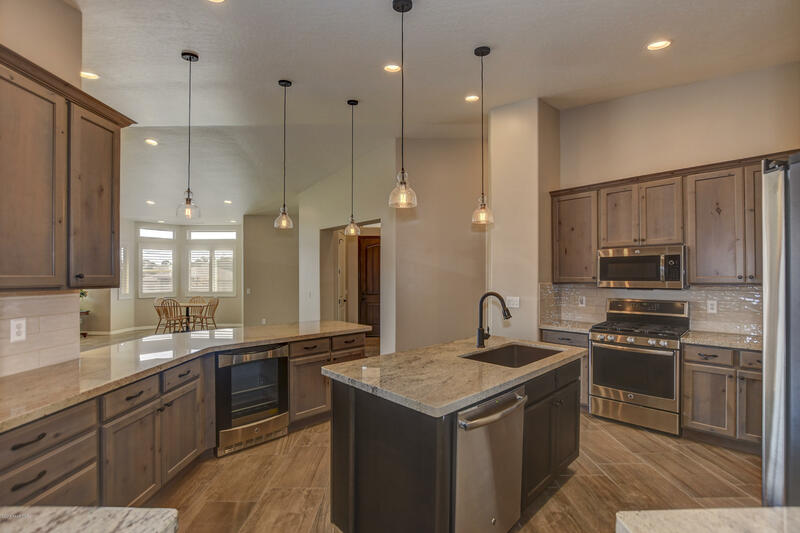 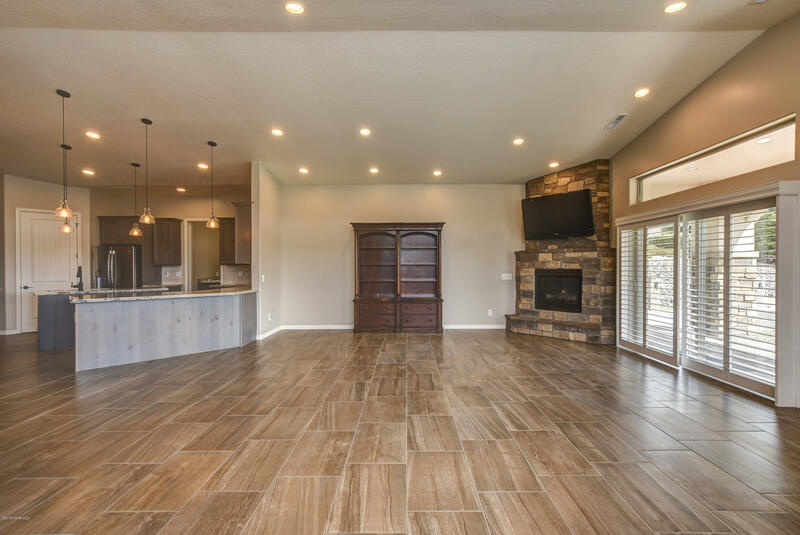 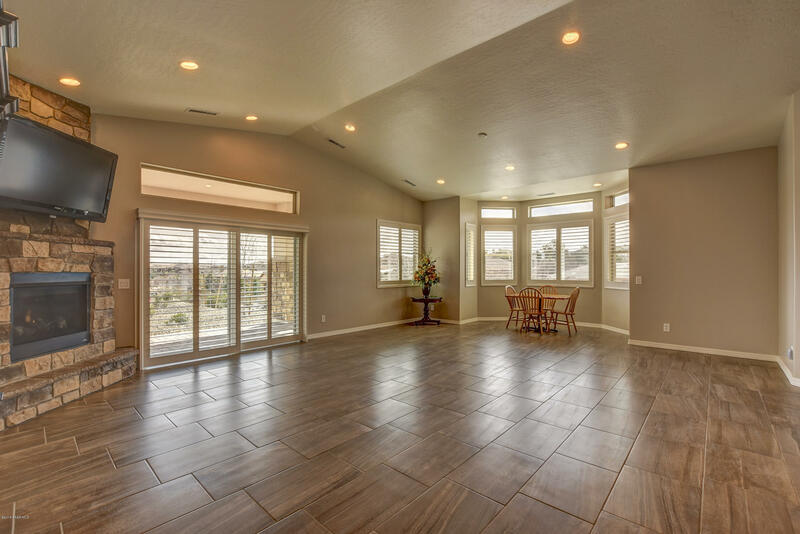 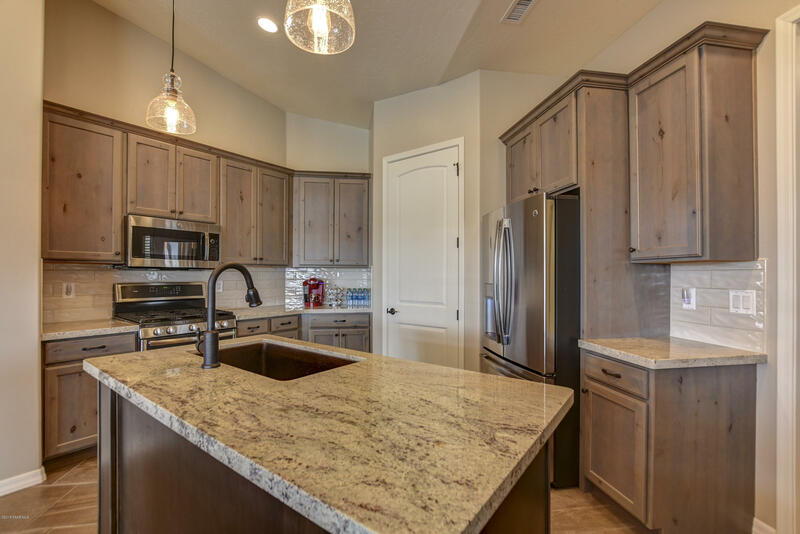 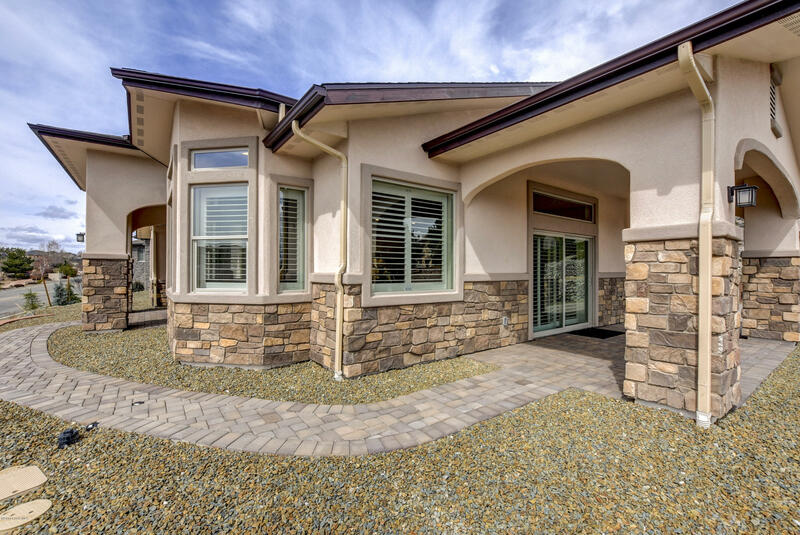 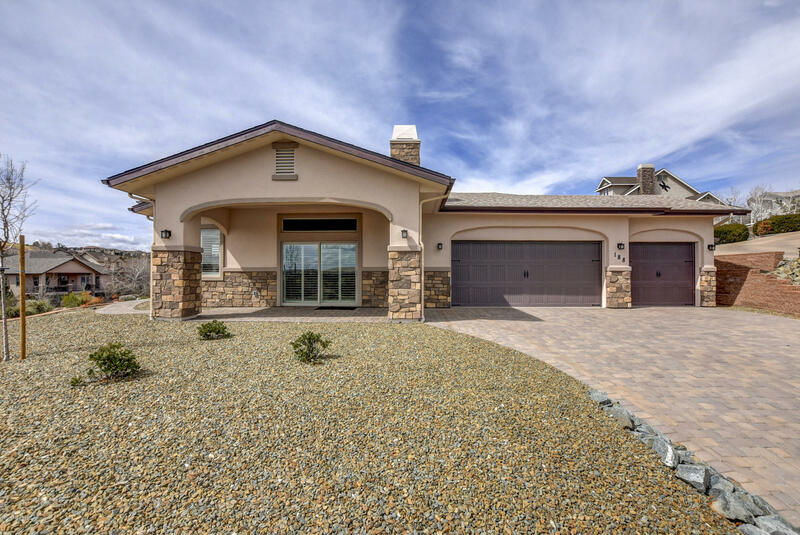 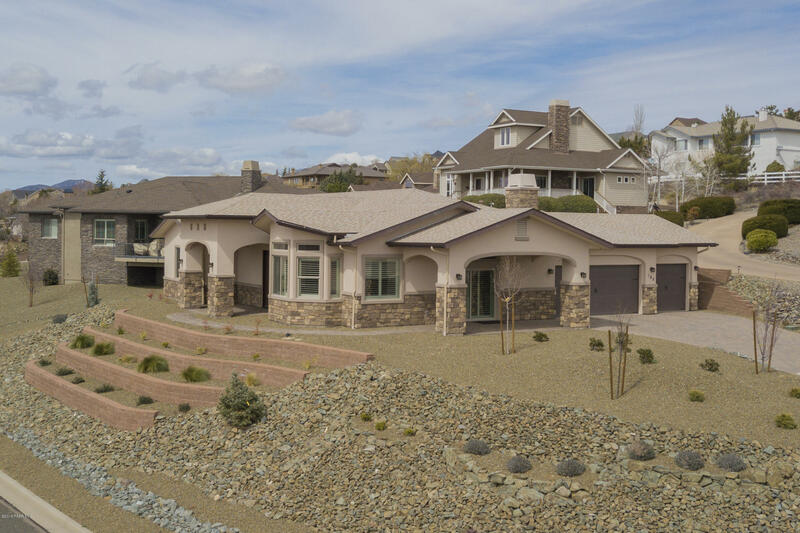 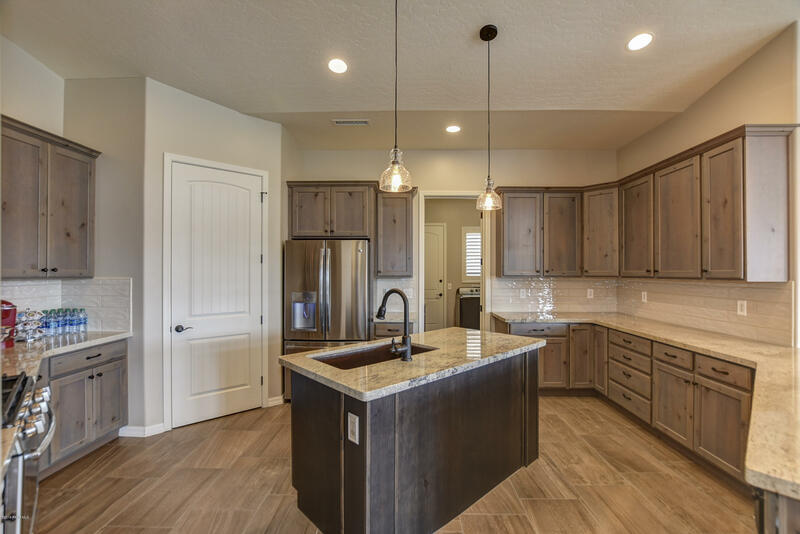 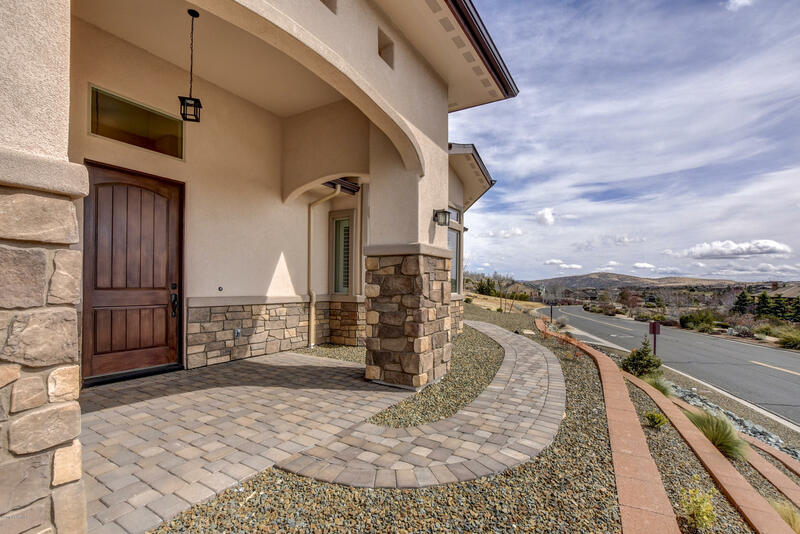 Stunning home with beautiful tile floors that look like wood, 3 car garage with epoxy floor, Rustic style grey cabinetry throughout, granite countertops, & a wonderful kitchen features a large copper sink, island kitchen with built in beverage refrigerator. 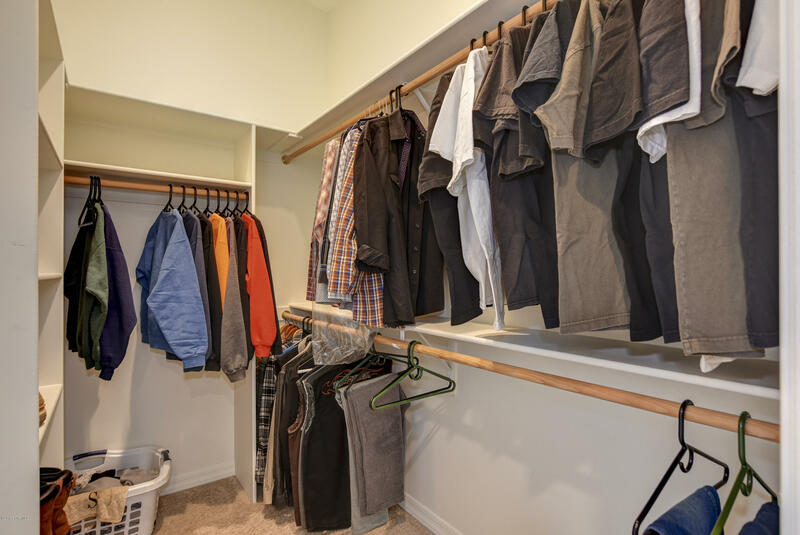 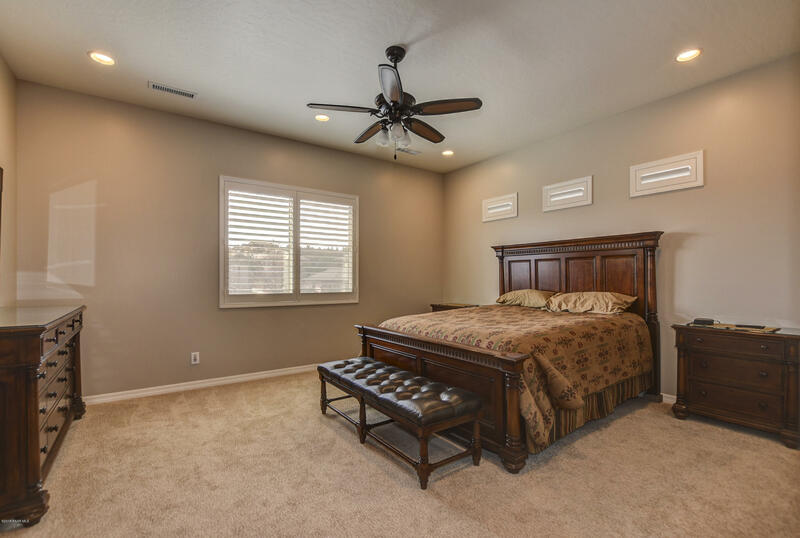 There are 3 large bedrooms. 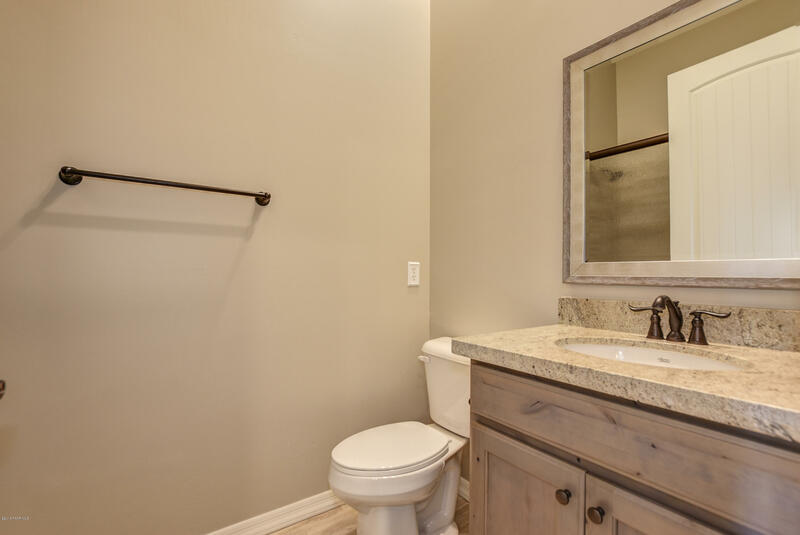 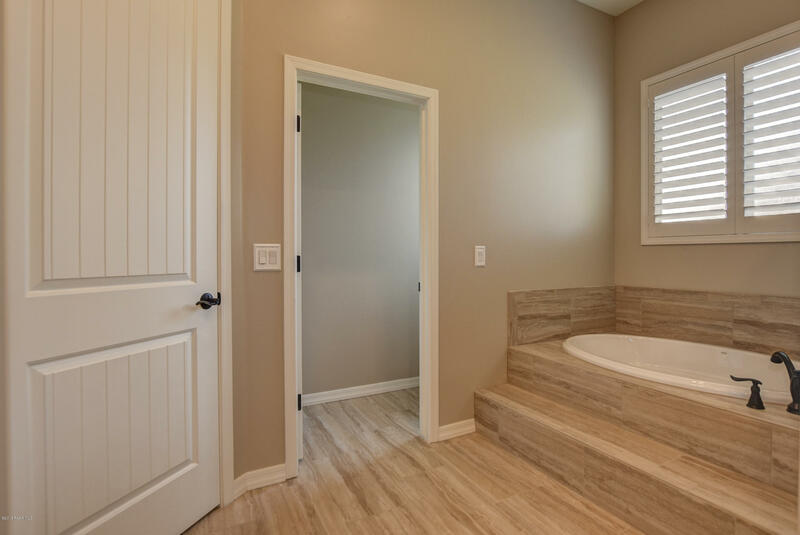 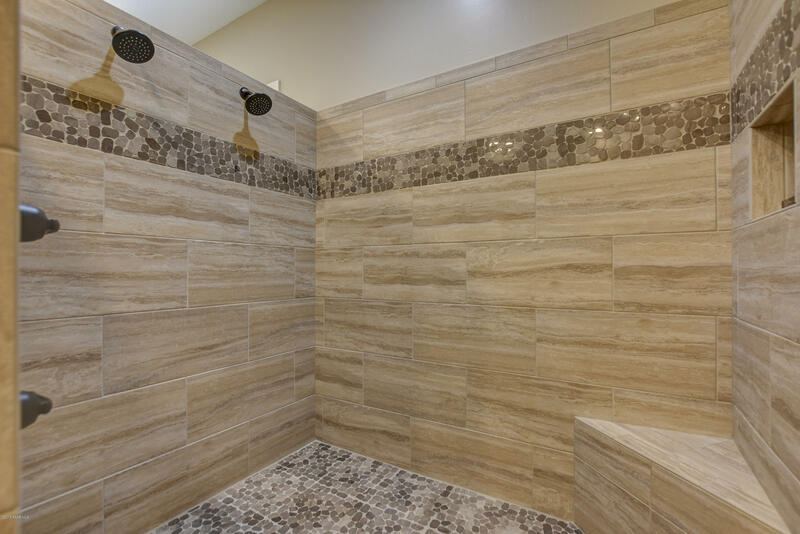 The master features a separate tub and beautiful walk in shower. 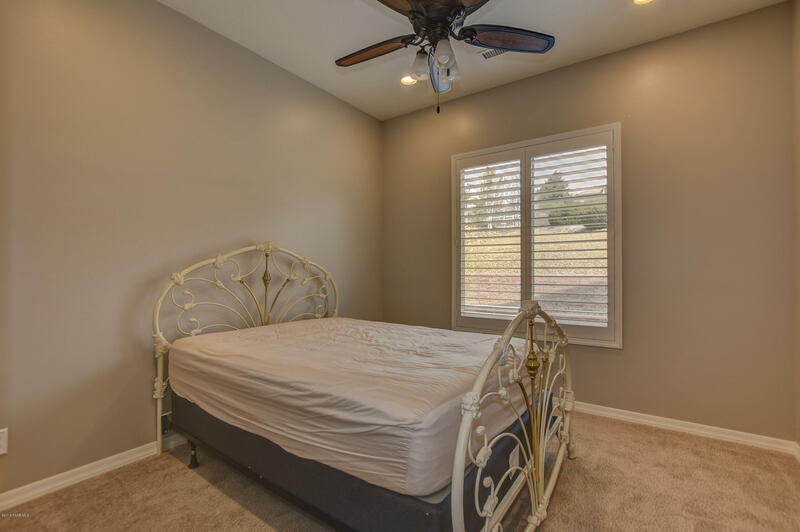 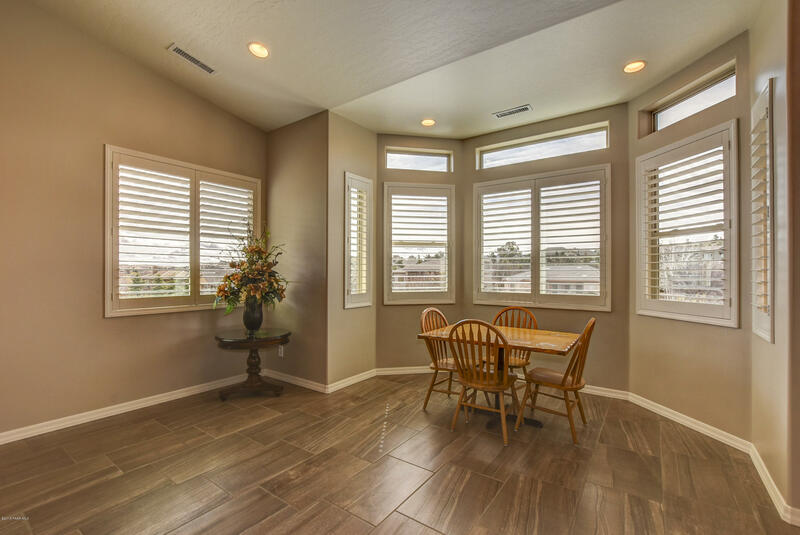 There are interior shutters throughout the entire home. 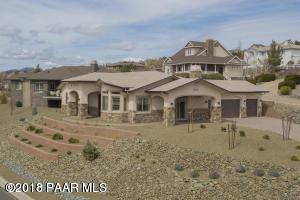 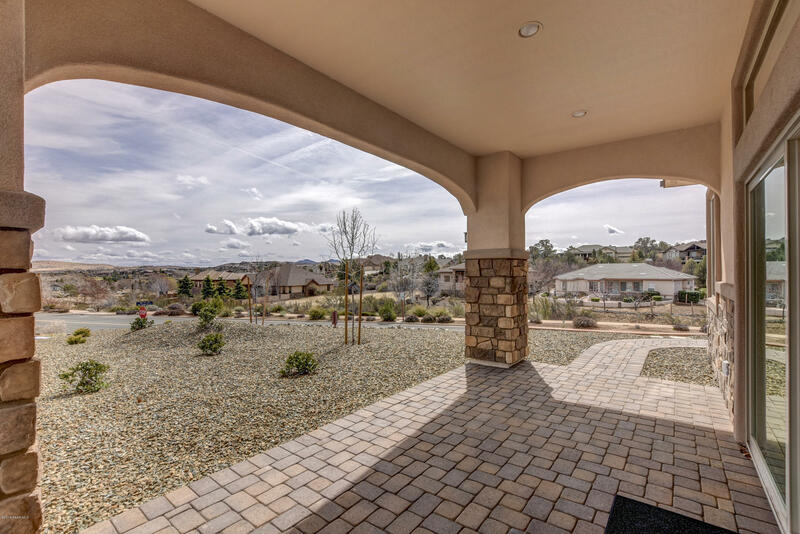 The property offers low maintenance landscaping and wonderful views! 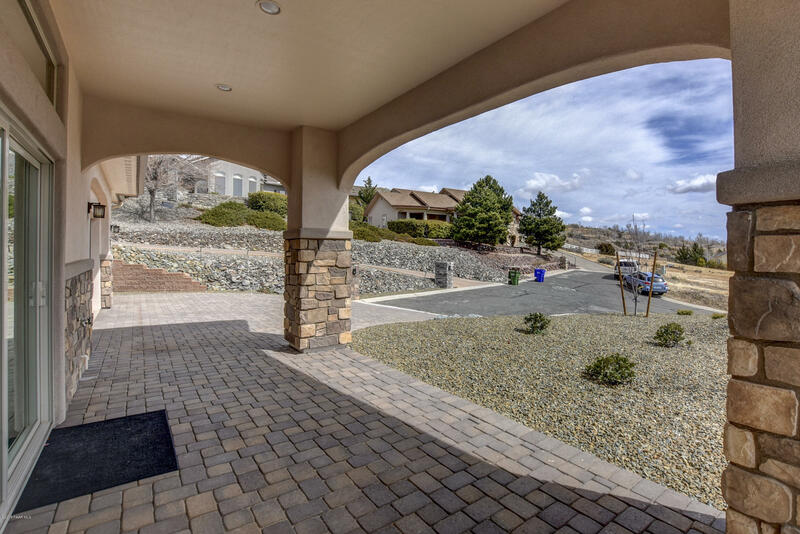 The community features a Hale Irwin Championship golf course, pickle-ball, tennis courts, indoor & outdoor pool. 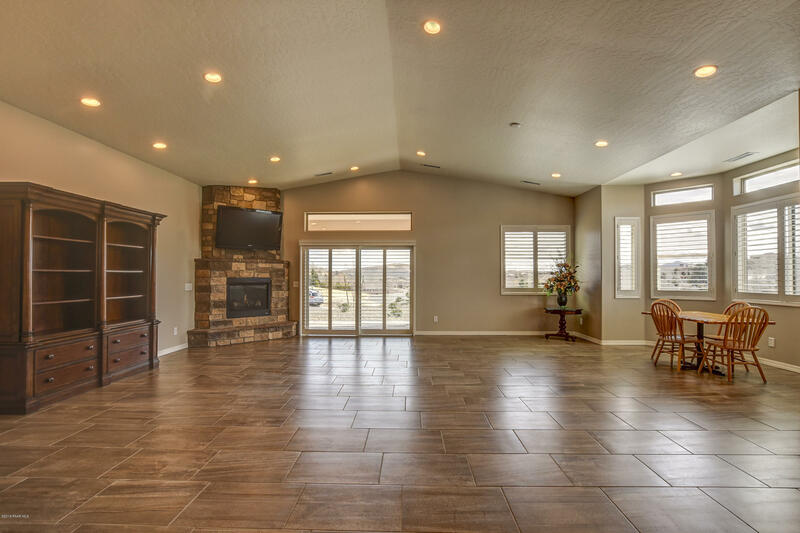 There is also a beautiful clubhouse that offers a variety of classes. 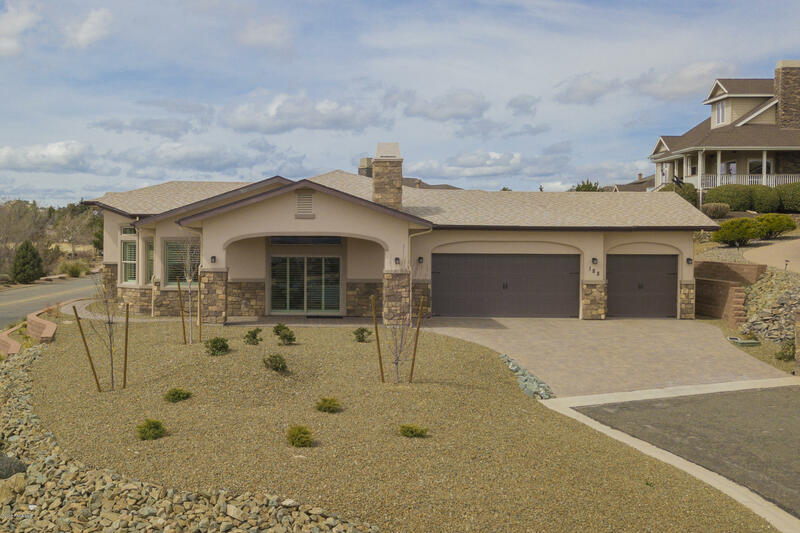 Directions: Prescott Lakes Parkway- Smoketree Lane to sign on Property.